This DJI Mavic Air footage is proof of the stunning and professional quality from DJI’s latest pocket sized quadcopter. This Mavic Air drone with its 4k camera and ultra stabilized 3 axis mechanical gimbal has an angular vibration range reduced to just 0.005°. The gimbal is set in a triangular formation and new gimbal dampeners create exceptionally steady shots. The DJI Mavic Air can take 12 megapixel stills and 32 megapixel panorama shots. Along with the above, the superb stability and footage of the Mavic Air quadcopter is also due to new HDR algorithms, which sense the right exposure settings intelligently, according to lighting conditions. Over exposed or dark areas are processed for more natural transitions between highlights and shadows, while DSP acceleration allows for more efficient shooting. The Mavic Air is perhaps once of the easiest drones to fly and film with. Now, there are many more terrific features on the latest DJI quadcopter and you can read further in this Mavic Air review here. The review features some terrific videos of this very portable and professional quadcopter. Now, lets look at some terrific Mavic Air video footage. The Gold Coast is a metropolitan region, south of Brisbane on Australia’s east coast. It’s famed for its long sandy beaches, surfing spots and elaborate system of inland canals and waterways. This exceptional DJI Mavic Air footage is filmed in 4k resolution. 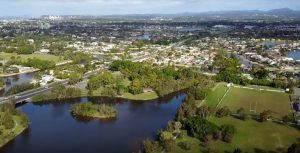 It is a flyover of Broadbeach, Burleigh Heads, Currumbin and Tallebudgera. Beautiful destination and stunning aerial footage. This DJI Mavic Air video footage is from Florida. The beautiful Florida is on the southeast of the United States, with the Atlantic Ocean on one side and the Gulf of Mexico on the other. Florida has hundreds of miles of beaches. 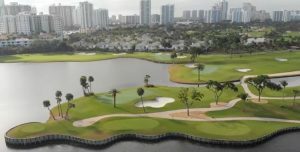 The city of Miami is known for its Latin American cultural influences and notable arts scene, as well as its nightlife, especially in upscale South Beach. Orlando is famous for its theme parks, including Walt Disney World. Generally, the weather in Florida is perfect and especially outside of Hurricane season. However, the below Mavic Air footage was filmed in less than ideal conditions, with a wind speed of 25 mph, rain and clouds. Even in less than ideal weather, the Mavic Air films beautifully. The Mavic Air weighs less than 1 lb, so to fly and film this smoothly in windy conditions means the IMU, Gyroscope, Flight Controller and software technology are stabilizing the quadcopter hundreds of times every second. The Mavic Air has the latest drone technology on the market. The price of the Mavic Air is very affordable and you can find the best Mavic Air bundles here. A bundle is better value as it will contain extra batteries, props, cables, chargers and even a carry case. This next DJI Mavic Air footage comes from the little known Palau. The Republic of Palau is so scenic. Visitors to Palau are overwhelmed by its extraordinary array of magical scenery and natural wonders. Palau is an archipelago of about 200 pristine limestone and volcanic islands, blanketed in emerald forest, surrounded by a shimmering turquoise lagoon. Unsurprisingly, diving is the number 1 activity, with truly world class dive sites. Divers love Palau’s exciting seascape, fascinating wrecks and stunningly diverse marine life. Everything about the Mavic Air footage of Palau is stunning. The location is absolutely beautiful and so peaceful. The Mavic Air captures Palau perfectly. This next Mavic Air drone video which also reviews the Mavic Air is from the Maldives. Situated in the Indian Ocean, the Maldives is a tropical nation composed of 26 ring shaped atolls, which are made up of more than 1,000 coral islands. It’s known for its beaches, blue lagoons and extensive reefs. The capital, Malé, has a busy fish market, restaurants and shops on the main road, Majeedhee Magu, and 17th-century Hukuru Miskiy made of carved white coral. It certainly is a WOW destination. This last Mavic Air footage is a compilation of filming from around the globe. As you can see in all the video clips, the Mavic Air films superbly in various terrains and weather conditions. I love the poem added to this compilation.